After a career of over 60 years in the music industry, Ronnie Reno announced today that he will retire in December of 2019. The longstanding host of award-winning Reno’s Old Time Music television show will call it a day. Back in 1955, a then seven-year-old Ronnie Reno climbed up on a milk carton, stretched up to the microphone, and performed before his first national audience on The Old Dominion Barndance. This performance would prove to be the beginning of one of the most colourful, diverse and distinguished careers in the music industry. Indeed, a career that spans over 60 years, and has put him along side some of the most legendary entertainers in Bluegrass and Country Music history. Reno was launched into bluegrass greatness when he picked up the mandolin and joined his father’s band. His dad just happened to be banjo pioneer Don Reno and one-half of the Hall of Fame duo Reno & Smiley. While juggling schoolwork with TV tapings and top-billed performances, young Ronnie honed his chops and was a part of that act’s great recordings in the 50’s and 60’s. He earned a reputation as a fine all-round player and picked up additional work with groups like the Louvin Brothers, or whoever else might have needed him. Ronnie Reno then joined the famed Osborne Brothers and provided part of what became the trademark Osborne Brothers sound during the height of their commercial success. In 1971, they were awarded the coveted CMA Vocal Group of the Year. Ronnie’s talent later caught the attention of Merle Haggard. He went on to play and sang with Haggard and became Haggard’s opening act as a solo performer. After the death of his father Don Reno in the 1984, Ronnie joined with his two brothers, Dale and Don-Wayne Reno to form the Reno Brothers. The trio also began hosting a regular TV show for the Americana cable network in 1993, which in its day was the only nationally broadcast television program to focus on bluegrass music. 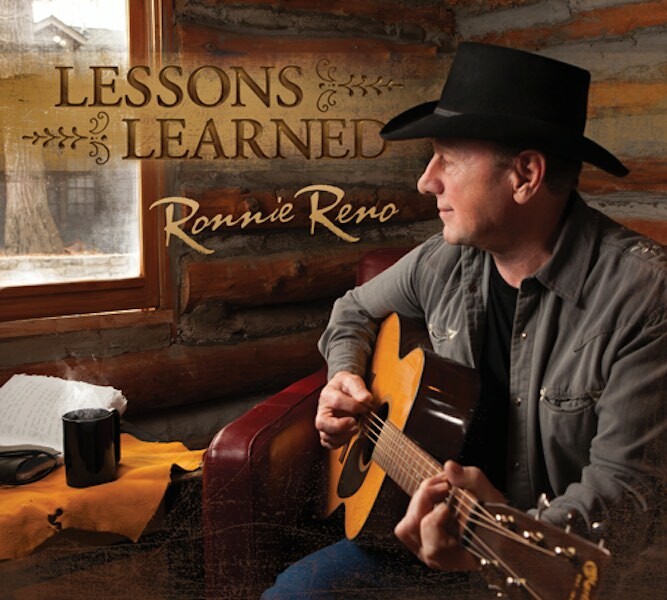 Lessons Learned, the latest album by Ronnie Reno, earned the #1 spot on AirPlay Direct Global Radio Indicator Bluegrass/Folk chart for March. Released on 17th March this year, the album received 890 downloads, signifying that radio is pleased with Reno’s debut album on Rural Rhythm Records and his first project in over a decade. Programmers can still download the album at AirPlay Direct. Lessons Learned, is available for fans on iTunes, Amazon and wherever Bluegrass and Country music are sold. The appropriately named Lessons Learned hits retailers as Reno marks 60 years in entertainment (look for information about the upcoming celebration in future announcements). The album features 11 tracks that pull from his experiences as an artist, songwriter and TV host. Reno is backed by his band, The Reno Tradition and the rich harmony vocals of Sonya Isaacs. David Frizzell adds guest vocals to the only cover song on the album, a Lefty Frizell classic. Reno has spent the better part of his life alongside the great masters of both Bluegrass and Country Music…there’s a reason for that. He’s an incredible talent. We are pleased to see such a warm response from radio. What a treasure – Robert Weingartz, Chairman/Creator, AirPlay Direct. Ronnie Reno has been a mainstay in RFD-TV’s Saturday evening prime time block with ‘Reno’s Old Time Music Festival,’ reaching the heart of millions of Americans with his great music. His new album, LESSONS LEARNED, is an ongoing testament to his legendary footprint in musical history and we are pleased to have him in the RFD-TV family – Kelly Kantz, Sr. VP, Programming Sales, RFD-TV. It’s very satisfying to hear a seasoned pro singing new songs delivered with ease–nothing forced or over-produced, just talent on display with a tasteful presentation. So refreshing – Joe Mullins, Classic Country Radio, WBZI WEDI WKFI. Lessons Learned is an album that you can tell was crafted by a man who has seen it all and can seamlessly blend those experiences into his music. It’s genuine and from the heart. Reno simply understands how country music works and many artists today would be wise to take notes from an elder statesman like Reno – CountryPerspective.com. Reno’s award-winning career is one of the most diverse and colourful in the industry. He has lent his talents to a long list of seminal performers in both Bluegrass and Country, including Reno & Smiley, The Louvin Brothers, The Osborne Brothers, Merle Haggard, The Reno Brothers, Willie Nelson, Johnny Cash, Conway Twitty, Vassar Clements, Sammy Smith, Mac Wiseman and many others. 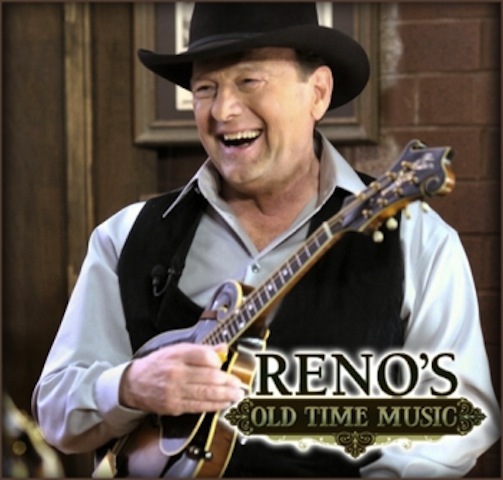 Reno can still be seen on his weekly, longstanding television show “Reno’s Old Time Music” which reaches an estimated 48 million homes and pulls 1.2 million monthly viewers on RFD-TV. (click here for more information, broadcast times and upcoming guests). Reno was named IBMA Broadcaster of the Year in 2013 for his work on this show. IBMA Broadcaster of the Year Ronnie Reno and Rural Rhythm Records to develop and promote Old-Time Music. 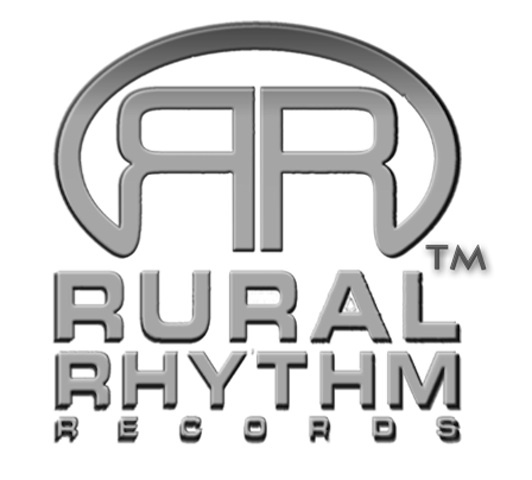 Rural Rhythm Records has announced that they are working together with entertainer Ronnie Reno towards music and video production development and marketing and distribution. Rural Rhythm president Sam Passamano and Ronnie Reno have been good friends for years and in 2010 their friendship developed into music distribution for Reno’s “Reno & Smiley – 1963” and “Mac Wiseman – 1971” CD titles. Both Ronnie Reno and Rural Rhythm have been instrumental in bringing new, classic roots and old-time music to the public over for many years. The 2013 IBMA “Broadcaster of the Year”, Reno’s body of work includes recordings with Reno & Smiley and as a solo artist, live performances and his highly successful weekly TV show “Reno’s Old Time Music” on RFD-TV. Rural Rhythm, in its almost 60 years of music production, boasts a catalog that includes releases by such legends as Mac Wiseman, Hylo Brown, Reno & Harrell, Red Smiley and some of today’s most popular artists such as Marty Raybon, Russell Moore & IIIrd Tyme Out, the Lonesome River Band, The Roys and many more. I feel like my dad, Don Reno, left me in charge of making sure the next generations who play bluegrass and traditional country understand where our music came from through video and documentaries. Hopefully the next generation will be able to take it to the next level with their own talent to keep it exciting and fresh for generations to come – Ronnie Reno. Among the plans for this expanded association between Reno and Rural Rhythm includes the development of a video documentary on the importance of country radio and barn dances in traditional and old-time music; a new Ronnie Reno & Reno Tradition recording; bringing a special “Reno’s Old Time Music Show” with special guests to key venues and other projects to be announced shortly. “Reno’s Old Time Music TV show on RFD-TV brings the best in old-time music by top artists from yesterday and today and is seen by more than 1 million TV viewers a month. In its fifth season, Reno’s Old Time Music has provided quality productions and first-rate entertainment enjoyed by millions of country and bluegrass fans and at the same time amassing one of the largest traditional old-time music video libraries. Through his work over the years with the legendary group Reno & Smiley, as a solo artist and now with the huge success of Reno’s Old Time Music weekly TV show, Ronnie is one of yesterday’s and today’s important music entertainers. Rural Rhythm is excited to be working with Ronnie to help him expand his audience even further and provide his fans with more opportunities to enjoy the talents and showmanship in new and different settings and places.”, commented Passamano. To watch Ronnie Reno and the Reno Tradition is to witness living traditional and bluegrass history. Ronnie has had one of the most colorful, diverse and distinguished careers in the music industry. On the traditional side, he has toured as an opening act and band member for Merle Haggard, toured with Mel Tillis, done studio work for Johnny Cash, Conway Twitty and Willie Nelson, and written hits for both Haggard and Twitty. On the bluegrass side, he spent several years providing part of the trademark harmonies of the Osborne Brothers. Bookending those personal milestones is a career based in family that has provided modern music with some of its most noteworthy moments. As a boy, Ronnie became part of bluegrass greatness when he picked up the mandolin and joined his father’s band. His dad, Don Reno, happened to be one-half of Hall of Famers Reno and Smiley, and young Ronnie was part of many of the act’s great recordings in the ’50s and ’60s. These days, Ronnie heads the Reno Tradition, an act that encapsulates some of the greatest sounds and moments of traditional bluegrass music. Ronnie’s life in music has seen his wide-ranging accomplishments earn him any number of honors. He created, produced and is starring in his own cable TV program, “Reno’s Old Time Music,” which could be seen in 62 million households on RFD/ FamilyNet TV. He has earned a nomination for the prestigious Cable Ace Award for Best Musical Series. Ronnie has received the Distinguished Achievement and Broadcaster Of The Year Awards from the International Bluegrass Music Association, and has served on the board of directors of the International Bluegrass Music Museum in Owensboro, KY and the Kentucky Center for Traditional Music at Morehead State University. Ronnie is in his 5th season on RFD and Family/Net TV and is proud to present the finest talent our music has to offer to the millions of fans that watch his show each week. In 1955 Uncle Jim O’Neal started Rural Rhythm with a few dollars and lot of dreams. He knew he couldn’t produce all the bluegrass & old-time country records, so as he used to say he just “made the best of it”. Over the years Rural Rhythm has produced and distributed hundreds of classic performances by many of the legends and pioneers of bluegrass and old-time country music such as Mac Wiseman, Don Reno, Red Smiley, Hylo Brown, Vassar Clements, Jim Eanes, Bill Harrell, Curly Fox, J.E. Mainer, Raymond Fairchild, Tater Tate and more. Rural Rhythm has put a lot of dedication into preserving the works of traditional bluegrass and old-time country music throughout the 50’s, 60’s & early 70’s releasing hundreds of titles in the Sound Traditions and Heritage Collection series. Almost 60 years later, Rural Rhythm has established itself as a leader in the Traditional & Contemporary Bluegrass market with major album titles being released recently by the following artists; Lonesome River Band (IBMA Winner), Russell Moore & IIIrd Tyme Out, Marty Raybon (Grammy ®Winner), Bobby Osborne (Legend & Grand Ole Opry member), Mountain Heart, Michael Martin Murphey (Grammy ®Nominee), Larry Sparks (Dove ® Nominee) , Lou Reid, John McEuen, The Roys, Audie Blaylock, Randy Kohrs (Grammy Winner), Jim Van Cleve (Grammy ® Nominee), The Marksmen Quartet (Dove ® Nominee), Cody Shuler & Pine Mountain Railroad (Dove ® Nominee), and more.